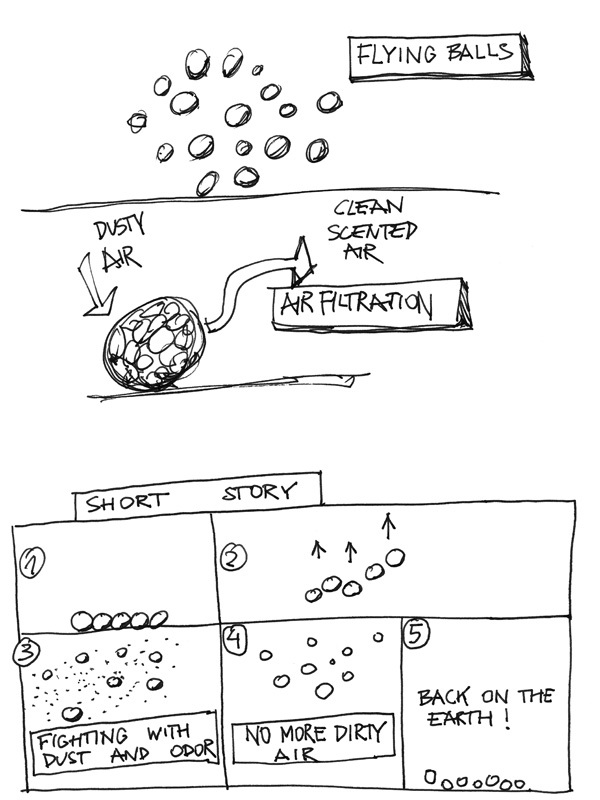 The Aeroball is a great way to filter air and get rid of odors. 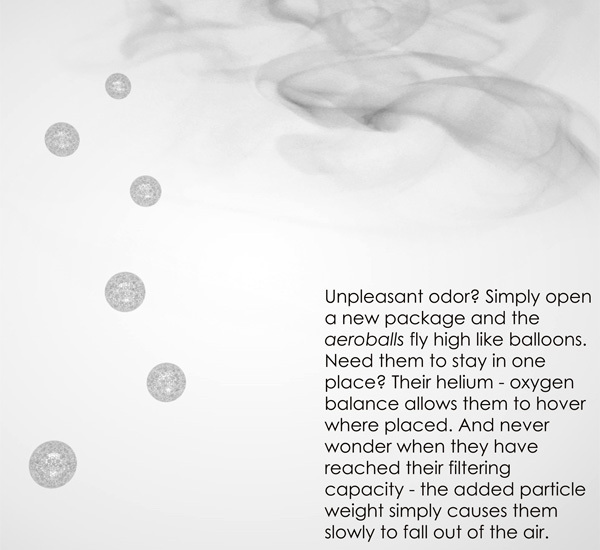 Tiny bubble-like balls hover and float in the air, cleansing it of impurities and offensive smells. 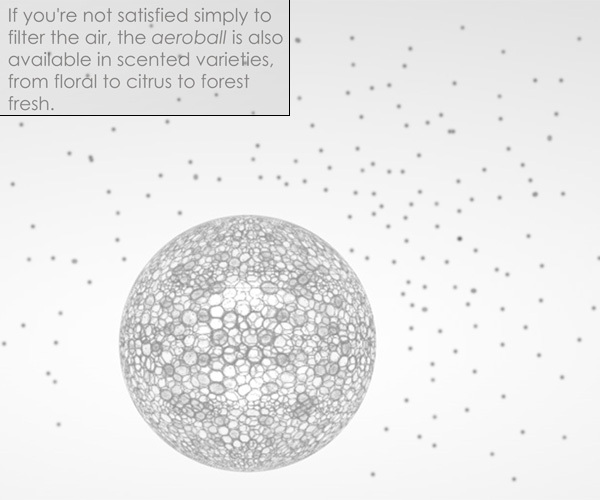 The scented varieties dispense fragrance and enhance the mood. 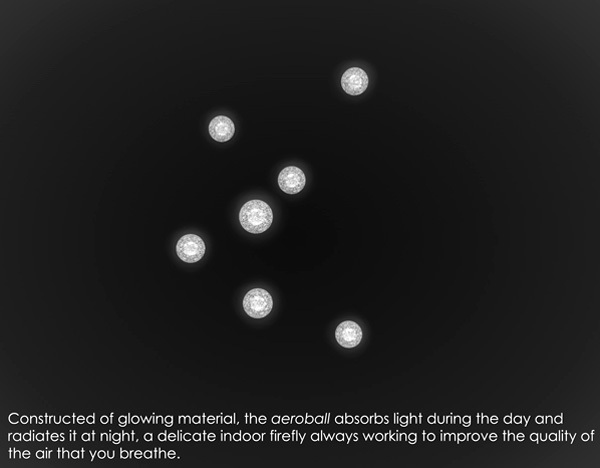 Inspired by fireflies and nature, the balls absorb light during the day and radiate it at night. 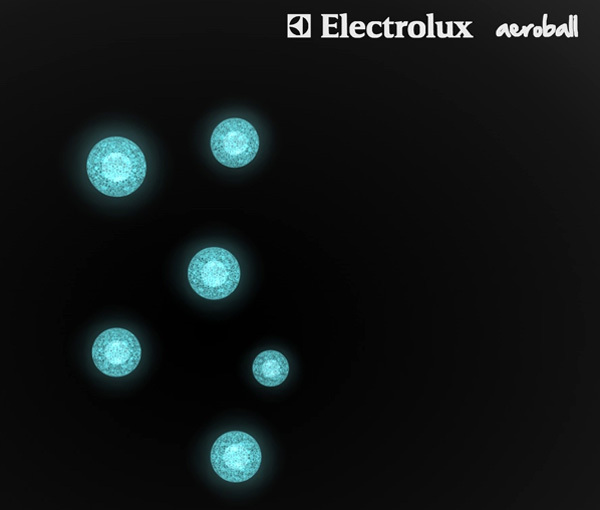 Very akin to glowlights! 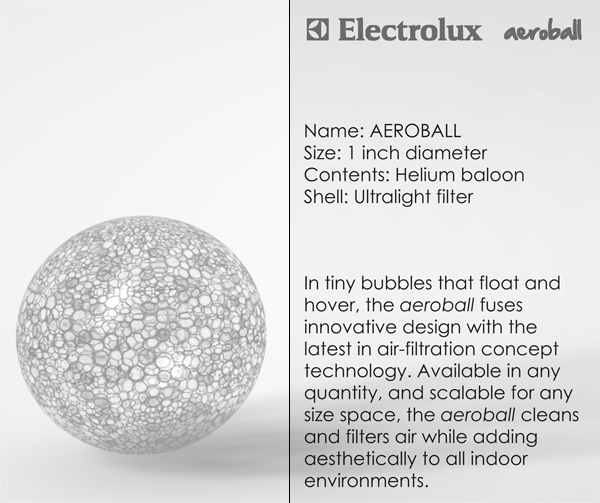 Aeroball is a 2012 Electrolux Design Lab Top Ten shortlisted finalist entry.